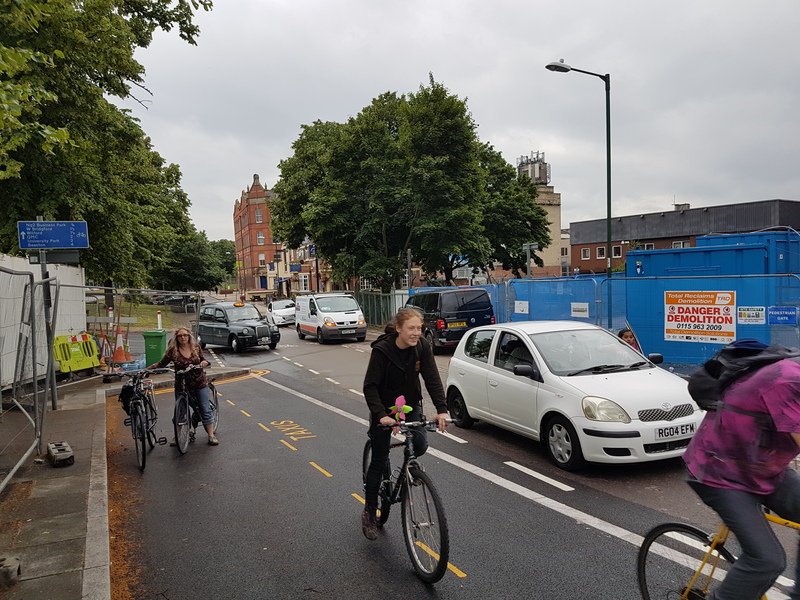 Pedals is well aware of the increasing problem of abuse by taxi drivers with the Queen’s Bridge Road cycle route and we are pressing the City Council for urgent action to address it. We are also are very concerned about the poorly designed new taxi feeder lane (especially as we were not consulted on the plans) which may well make this an ongoing problem without the City Council modifying the layout and taking the dangers of increased conflict between cyclists and taxi drivers much more seriously! 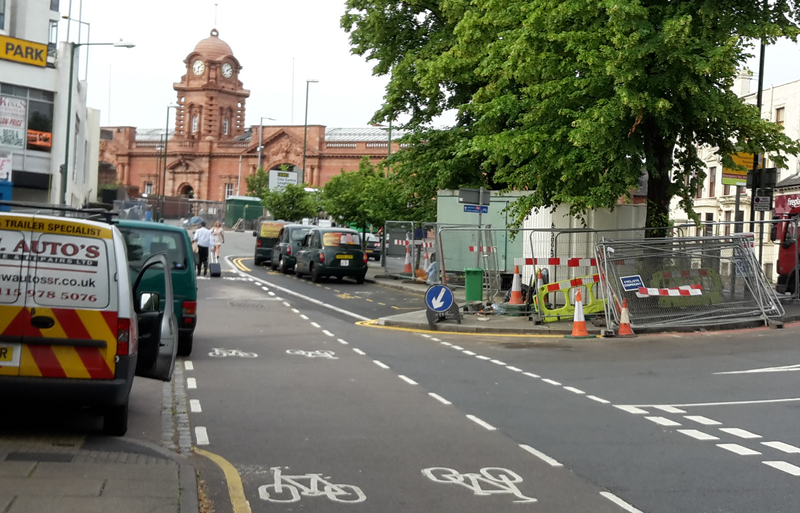 To help tackle this menace it would be very helpful please for people to send details of continuing problems, including the number plates of taxis obstructing cyclists, to the City Council. Please send details to John Bann: john.bann@nottinghamcity.gov.uk Photos and video footage would also help them to take appropriate action. John Bann from the City Council said yesterday said that the layout of the taxi feeder lane is to be modified, and that there will be some planting, and bollards, alongside the cycle path to deter cars waiting, along with painting of green markings and more cycle logos (when the weather is warm enough to do this), and the erection of signs to make divers more aware of the 30 mins free parking in the Station multi-storey car park. Demolition work in the neighbouring (Unity Square) site by the railway should soon be finished, meaning an end for now at least to the extra nuisance of HGVs crossing. As the Unity Square proposals for this site have not yet got detailed planning permission it will be a long time before HGVs start moving in again for the construction.